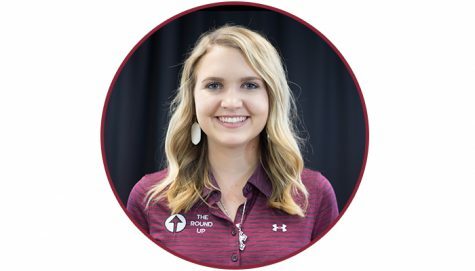 Ch’ree Essary, entering her second year working at The Round Up, currently serves as the Director of Content for the 2018-2019 academic year. A native of Eastern New Mexico, Essary graduated from Floyd High School in 2017 and is attending New Mexico State University to pursue a degree in Agricultural Communications through the Department of Agricultural and Extension Education. Essary began her career at The Round Up last year as a staff writer and features writer while also participating in podcasts. She enjoys writing about New Mexico politics and covered the State of New Mexico’s 53rd Legislature, Second Session in 2018 and followed bills that impacted NMSU and its students. Essary has covered the 2018 New Mexico governor election and wrote one of The Round Up’s most-read articles from the 2017-2018 academic year, an investigative piece on Democratic Governor Candidate Michelle Lujan Grisham. Following her graduation in May 2020, Essary has interests to pursue a career in the field of agricultural communications, journalism, or extension education.